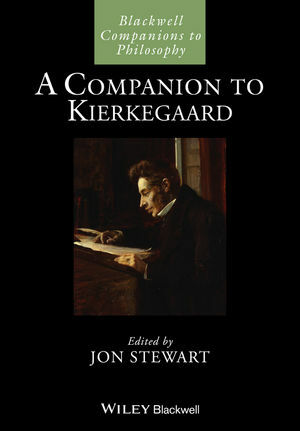 Jon Stewart, one of the world’s leading experts on the work of Søren Kierkegaard, has here compiled the most comprehensive single-volume overview of Kierkegaard studies currently available. Jon Stewart is Associate Professor at the Søren Kierkegaard Research Centre at the University of Copenhagen. He is the editor of the Kierkegaard Research: Sources, Reception and Resources, Texts from Golden Age Denmark and Danish Golden Age Studies series. He is the co-editor of the Kierkegaard Studies Yearbook and the Kierkegaard Studies Monograph series. Former leader of the Nordic Network of Kierkegaard Research and the International Kierkegaard Network, his published books include, Kierkegaard's Relations to Hegel Reconsidered (2003), Idealism and Existentialism: Hegel and Nineteenth- and Twentieth-Century European Philosophy (2010), The Unity of Hegel's "Phenomenology of Spirit": A Systematic Interpretation (2011), The Unity of Content and Form in Philosophical Writing: The Perils of Conformity (2013), and The Cultural Crisis of the Danish Golden Age: Heiberg, Martensen and Kierkegaard (2015).